Anyone with the travel bug like us will love exploring new places. Today I want to introduce you to some of the Greek Islands in Southern Europe and, hopefully, inspire you to book your next holiday on one of them (or more!). With over 200 islands inhabited in the Aegean and Ionian Seas, it’s hard to discover which one is right for you as each one lends itself to a different type of vacation, so here is an overview of my top four. Originally published by Andi of The Misadventures of Andi on April 28, 2017. Disclosure: This post was created in collaboration with Hotel Planner. As always, all experiences and opinions are my own. The South is steeped in history that spans much more than Southern belles, debutante balls, or Sunday barbecues with smoked meats and crawfish boils. In the past decade, there’s been a revival of the Old South with a new spin, particularly when it comes to the food scene. Many local chefs are going back to their roots and celebrating Southern cuisine with long forgotten ingredients and menu items. These chefs are also evolving the culinary history of the South by drawing on newer immigrant cultures. It’s this mixing of the Old South with the new that makes a weekend in Charlotte a must. Image via Flickr by James Willamor. Charlotte is smaller than a lot of other Southern cities, so it’s easier to navigate and enjoy in just a few days. Plus, she’s definitely one of the prettiest belles at the ball. In fact, she’s the queen. Since a weekend isn’t a whole lot of time, I’m focusing on Uptown in the central part of the city. But you can find lots to do, see, eat and drink all over Charlotte. There are no rules to say you can’t do more! Bechtler Museum of Modern Art. Image via Flickr by James Willamor. This section of Charlotte is densely packed with lots to do. I highly recommend doing as much walking as possible. Burn those calories while visiting a museum, doing a walking tour, or shopping. Then you won’t feel so guilty when you order dessert! Whether you decide to make your home base at a hotel near the city center or close to Discovery Place, you’ll find a plethora of possibilities. North Carolina’s oldest art museum, the Mint Museum, is right at your doorstep. There are local and internationally renowned artists; Chihuly’s “Royal Blue Mint Chandelier,” and a focus on fine crafts such as glass, pottery, wood, and jewelry. 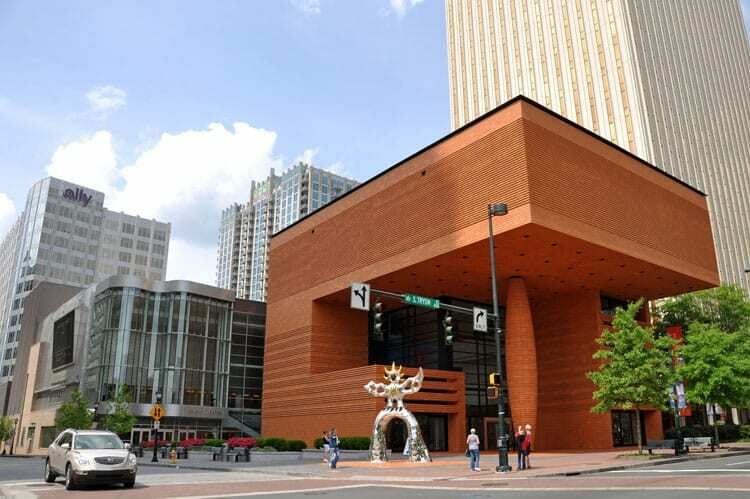 Right next door, you’ll find the Bechtler Museum of Modern Art. The museum’s architecture is stunning, and it’s home to works from major artists like Picasso and Warhol. Plus, if your weekend starts on the first Friday of the month, you can catch one of two jazz shows. 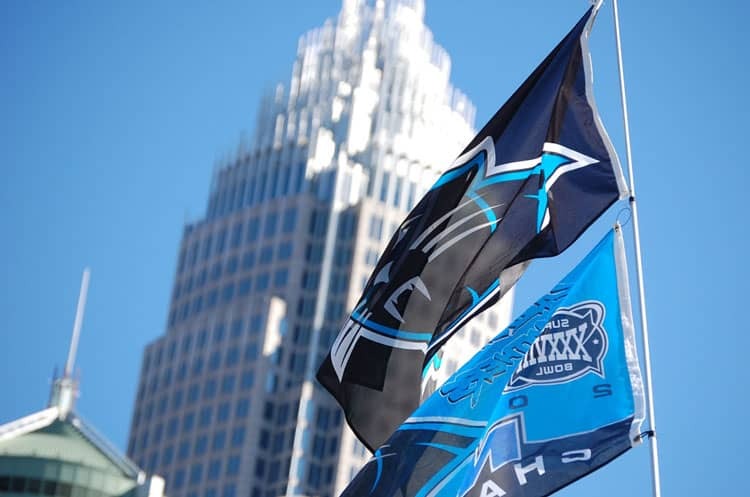 Got the kids with you for your weekend in Charlotte? Don’t miss taking them to Discovery Place, an interactive museum for kids focused on science and technology. The museum also has a really cool Genghis Khan exhibit that is not to be missed. The museum is actually a whole lot of fun without the kids, too! To get a thorough understanding of Southern life and culture, visit the Levine Museum of the New South. 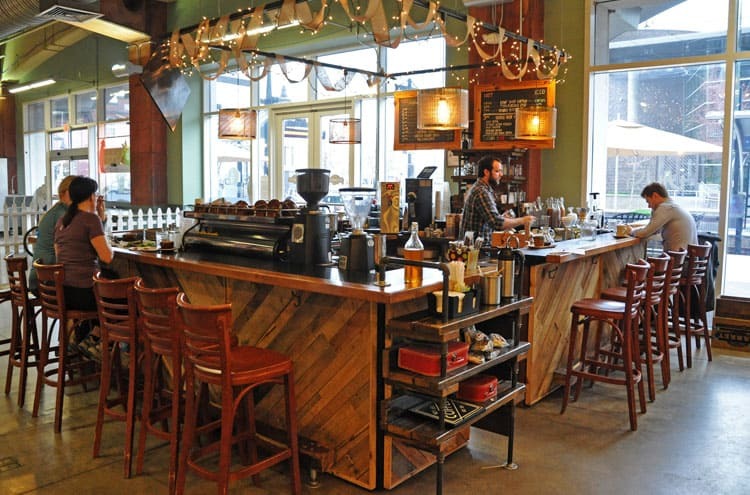 Afterward, you can check out the local food scene by exploring the Seventh Street Public Market. Shopping and eating in this famous market helps support the food culture of the Carolinas and promotes local and regional farmers, food artisans, and entrepreneurs. Here, you’re not just eating; you’re contributing, too. I always enjoy walking tours when I’m visiting a new city, especially if they’re food tours. If you’re also fascinated by local food culture, I highly recommend a tour from Tour de Food or Feast Food Tours, two companies hosting culinary escapades in Uptown. Not only will you learn a thing or two, but you won’t go hungry, either. Amelie’s French Bakery (380 S College St.): Enjoy a casual breakfast with delicious pastries and a damn good croissant. The Asbury (235 N. Tryon St.): Don’t miss the deviled eggs with fried cornichons. This is a great spot for dinner, too. The King’s Kitchen (129 W. Trade St.): This spot serves farm-centric Southern comfort food, and every penny of profit goes to feed the poor. Mert’s Heart & Soul (214 N College St.): This spot is home to very good salmon cakes. Chili Man (101-139 S Tryon St.): Get the Life Changer from this food cart owned by Vic. Papi Queso Streatery (6th/Tryon St.): Catch this food truck on Fridays and grab the signature grilled cheese sandwich. 204 North Kitchen and Cocktails (204 N Tryon St.): Stop here for pre-dinner cocktails. Rooster’s Wood-fired Kitchen (150 N College St.): Don’t miss the duck dishes or the excellent mac and cheese. Sea Level NC (129 E 5th St.): Dig into sustainable seafood and Carolina oysters in a classy atmosphere. 5Church (127 N. Tryon St.): Try the Rosemary Gin Fizz at this hip steakhouse. McNinch House (511 N. Church St.): Enjoy this formal dining restaurant with top-of-the-line service. Crave Dessert Bar (500 W 5th St. #120): Save room for dessert or an after dinner drink at this sweet spot. Bank of America Stadium in Charlotte. Image via Flickr by James Willamor. Price’s Chicken Coop (1614 Camden Road): Carry this institution’s signature take-out dish to the game with you. Pinky’s Westside Grill (1600 West Morehead Street): Don’t miss the iconic White Trash Burger. Seoul Food Meat Company (1400 South Church Street): Get your chicken wings Korean style. The butterfly garden at Discovery Place Nature. Image via Flickr by That Guy DouG. 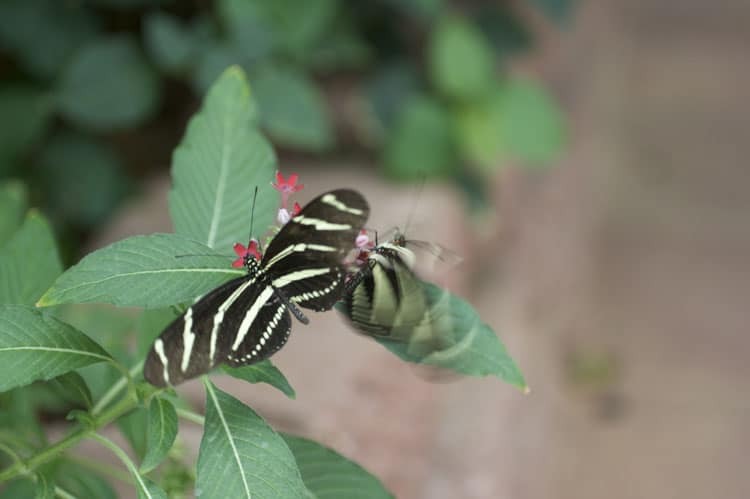 A great spot to take the kids on a family weekend is Discovery Place Nature, formerly known as the Charlotte Nature Museum. 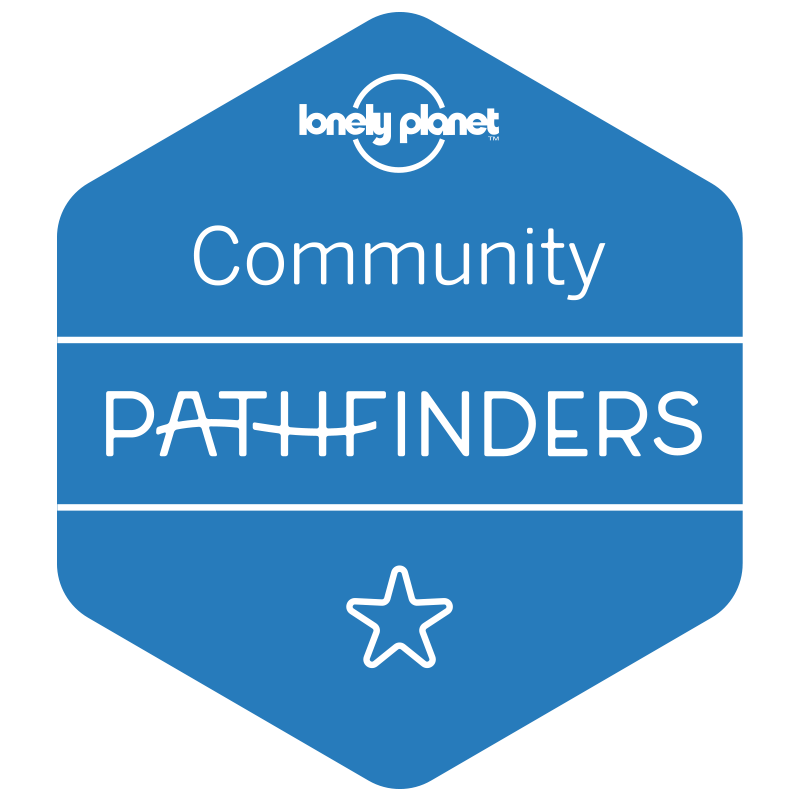 It’s an oasis for children and adults to learn more about local wildlife. There’s a butterfly garden, hands-on animal experiences, and a nature trail to Freedom Park, where you can enjoy a family picnic. Duck Donuts (1710 Kenilworth Avenue): Don’t miss these donuts! Bad Daddy’s Burger Bar (1626 East Boulevard): The kids will love the name, and you’ll love the burgers. JJ’s Red Hots (1514 East Boulevard): Enjoy classic hotdogs in a retro environment. Once everyone’s belly is full, make sure it’s only a short walk to the hotel to take a nap. How’s that for options? The Queen City rules when it comes to an action-packed, food-filled weekend. How about you? 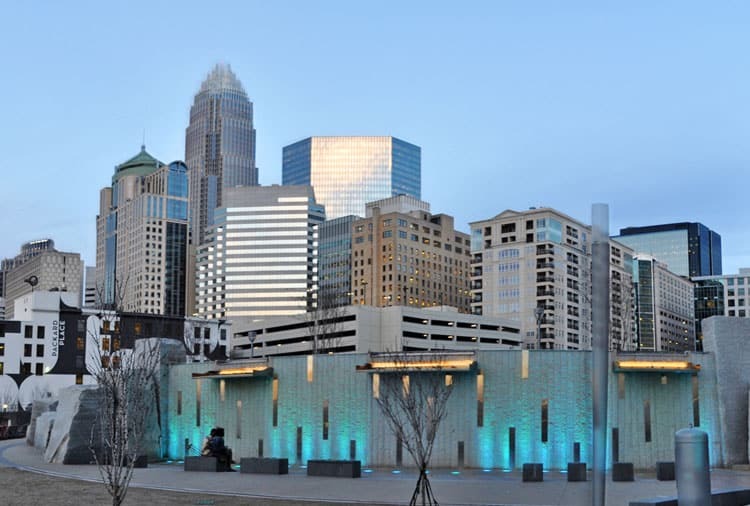 Have you visited Charlotte? What would you add to my weekend plans? I’m a lifestyle blogger focused on travel and food. A marketing gal who gave up my job to travel around the United States in an RV with my hubby. I’m now settling into the Portland area where I’m looking for my next career adventure! I love to travel via my stomach. Eating, seeking out local artisans and features to share. I’ve got more than 26 years of experience in marketing focused on content, social media, and direct marketing and I’ve mentored many bloggers, old and new. Phoenix, also known as the Valley of the Sun, provides sunshine almost every day of the year. And while it has remained on the list of must-visit cities in the U.S., something has shifted as of late. The city is gaining visitor momentum with its up-and-coming arts scene, gastronomic greatness, and its stunning desert and mountain scenery. If you’re intrigued, here’s how to plan the best trip to Phoenix, Arizona. Phoenix offers extreme temperatures ranging from 100 degrees Fahrenheit, or about 40 degrees Celsius, in the summer months to freezing in the winter. So it’s best to go in the in-between months in spring and fall to enjoy the Valley of the Sun at its best. When you’re ready to plan your trip, check out this Phoenix hotel planning guide to book the perfect hotel for your needs. 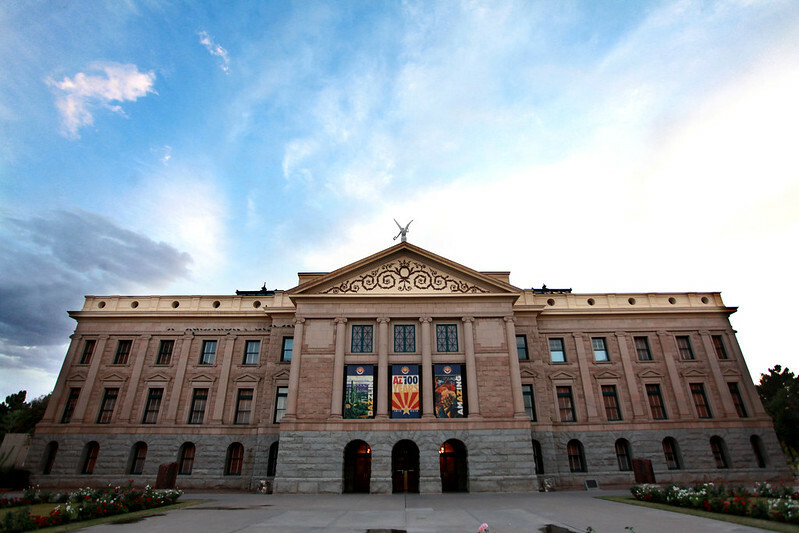 Culturally, Phoenix can really stand out with its many museums, theaters, music venues, opera, and symphony. Some of the state’s best museums lie here and feature a number of themes. I recommend The Heard Museum, the Arizona Science Center, the Phoenix Art Museum, and the Museum of Musical Instruments. You can also take a stroll through Bentley Projects, a downtown warehouse district full of art galleries. After fueling with the complimentary breakfast at your hotel, feel free to work up an appetite during the day to give way to delicious food. Given the proximity to Mexico, you’ll find outstanding south-of-the-border inspired cuisine. At the Phoenix Ranch Market, you’ll find freshly made tortillas, refreshing aguas frescas, and mouth-watering tres leches cake. Phoenix also has other international flavours, including French, Korean, and other Latin American cuisines. As mentioned, Phoenix can get pretty hot, but there are several ways to stay cool. Many hotels have pools where you can soak, refresh, and lounge with the family. You can also take them to the several water parks around the city. If water isn’t your thing, you’ll find air conditioning across buildings in Phoenix. So feel free to satisfy your shopping needs at the many malls and chic boutiques. Possibly one of Phoenix’s best feature is its majestic desert landscape with breathtaking sunsets and plenty of outdoor activities. 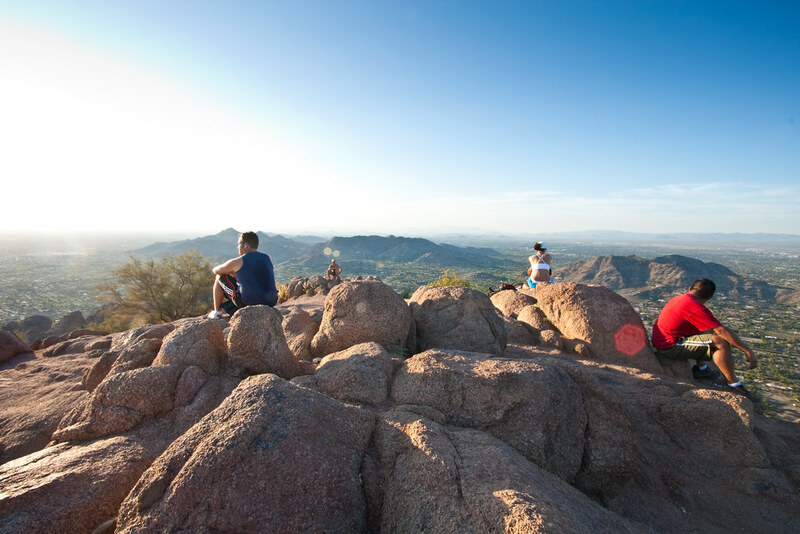 Nature enthusiasts will enjoy hiking and biking up Camelback Mountain, where you can view the city from above. If you want to bring your furry friend on your hiking adventure, there are many pet-friendly hotels in Phoenix, too. There are also many green areas around the city, like the South Mountain and Squaw Pearl parks. You can also go horseback riding through the splendor of the desert and enjoy the vast array of colours during sunset. Now you have all the best tips for arts and culture, gastronomy, staying cool, and outdoor adventure to visit Phoenix, Arizona. Do you have any other tips or recommendations? Originally published on IHG’s Guide to Singapore. Modern, prosperous and dynamic, Singapore is a global hub for finance, high-tech industry and international trade. If you’re visiting on holiday, it’s a shopper’s haven and a foodie’s dream, with gleaming malls and a legendary food scene that takes in everything from Chinese, Malay and Indian street food to sophisticated fine-dining restaurants. If you’ve an urge to explore, you can discover the island’s multicultural heritage in Chinatown, Little India, Kampong Glam and the grand colonial buildings of the Civic District. You’ll also find plenty of beachside activities, rainforest parks, a thriving arts scene and 21st-century attractions like Gardens By The Bay. Shaped like a diamond, Singapore combines towering skyscrapers, traditional communities and modern waterfront developments. Restored 19th-century colonial buildings are clustered in the city and Civic District near the Singapore River, with Chinatown close by. Little India and Kampong Glam are found to the north of the city and head east for the popular local suburbs of Geylang and Joo Chiat. There’s an extensive network of nature reserves and parks throughout the island. 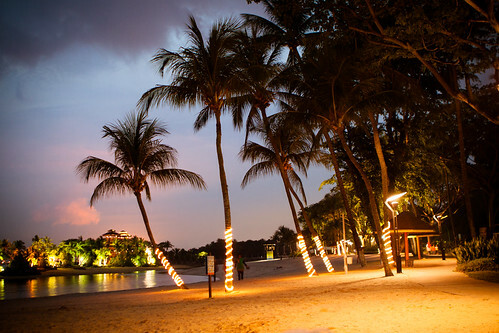 Holidaymakers are drawn to islands such as Pulau Ubin for nature trails and bike tracks as well as Sentosa island, connected to central Singapore via a bridge, for seaside entertainment and theme parks. The beautifully landscaped Gardens By The Bay is home to the Cloud Forest and Flower Dome greenhouses, filled with blooms from across the world. Don’t miss the OCBC Skyway, a walkway set among 18 ‘supertree’ sculptures, which comes alive after dark with a magical light display. For a relaxing day out, head to Sentosa island to soak up the sun on the beach, enjoy a leisurely round of golf or brave the thrilling rides at the Universal Studios Singapore theme park. Singapore Zoo is home to white tigers, honey-loving sun bears and African lions. You can spot the giant pandas, Kai Kai and Jia Jia, at the River Safari, or nocturnal leopards on the Night Safari. For a bird’s eye view of Singapore head to the Singapore Flyer, a 165-metre observation wheel with 360-degree views of the island. A walk around Marina Bay to enjoy the city’s night lights. A stroll through the Singapore Botanic Gardens, a UNESCO World Heritage Site housing lush themed gardens with more than 1,000 species of orchid. A food tour through the well-loved haunts in Chinatown, Geylang Serai, Joo Chiat or Kampong Glam. A visit to Pulau Ubin, a kampong (traditional) village off the coast near Changi Airport. Booking tickets for a traditional dance performance, a play or a concert at the iconic Esplanade arts centre. For your stay in Singapore there are hotels that will suit every budget and travel need. The city’s efficient transport system makes travelling around a breeze, and it’s easy to find hotels within walking distance of a train station. If you want to be in the thick of the action, pick a central location like Orchard Road, Singapore’s most famous shopping street, or close to the energetic nightlife hubs around Clarke Quay, Robertson Quay or Club Street. For a budget hotel in Singapore you’ll find good choices in Little India and Kampong Glam. Singapore hotels in the central business district (CBD) or at Bugis, Outram Road and North Bridge Road are good for business travellers, with plenty of entertainment nearby. Families might appreciate the quieter residential areas with easy access to the centre, like Tiong Bahru and River Valley, or a beachside retreat on Sentosa. Singapore’s culinary scene lies at the heart of local life. Choices range from Chinese, Indian and Asian street food at budget-friendly hawker centres in Maxwell Road, Lau Pa Sat and Tiong Bahru Market to award winning fine-dining restaurants like Restaurant Andre or Tippling Club. For a special night out, try a rooftop restaurant such as Stellar at 1-Altitude to enjoy panoramic city views while you feast on modern European or Asian fare. If you’re looking for an authentic Singaporean experience, BonAppetour organises trips to local families’ homes for a traditional meal, as well as gourmet cooking classes. Chilli Crab: Sweet, savoury and spicy, this dish is prepared by stir-frying crabs in tomato and chilli sauce. Best eaten with fried mantous (Chinese buns). Hainanese Chicken Rice: Steamed chicken, rice cooked in rich chicken broth and cucumber slices make up this beloved national dish. Spicy chilli and ginger paste is the perfect accompaniment. Laksa: This delicious Peranakan soup consists of rice noodles, spices and seafood cooked in creamy coconut milk. Bah Kut Teh or “meat bone tea”, prepared by simmering pork ribs in broth filled with herbs and spices. Singapore’s vibrant local shopping streets and glitzy international malls should satisfy even the most demanding of shoppers. Around Orchard Road you’ll find glamorous malls like Takashimaya, Paragon and Ngee Ann City, filled with high-end boutiques, luxury labels and gourmet food products. For popular local brands try exploring central malls like Marina Square, Millenia Walk or Raffles City Complex. If you’re on the lookout for souvenirs, you can pick up Asian antiques, artworks and colourful fabrics along the quirky streets of Little India, Chinatown and Kampong Glam. Ann Siang Hill: The historic streets around Ann Siang Hill and Telok Ayer are lined with independent boutiques selling unique clothing, fashion accessories and home ornaments. Haji Lane: Designer boutiques selling modern and vintage fashion and lifestyle accessories have transformed this narrow alley in Kampong Glam. Bugis Village: Its crowded lanes are home to a labyrinth of stores in restored shophouses, selling everything from fashion to food and electronics. Ideal for shoppers on a budget. Singapore’s cultural scene reflects its unique racial mix. The streets of Chinatown, Kampong Glam and Little India are filled with traditional shophouses and temples. A trip to the Buddha Tooth Relic Temple, Sri Mariamman Temple or Sultan Mosque provides a glimpse into the religious traditions of the local Buddhist, Hindu and Muslim communities. You’ll find throngs of devotees in traditional garments playing musical instruments at Sri Mariamman’s frequent temple processions. You can trace Singapore’s history through the art, artefacts and multimedia displays at the National Museum of Singapore. Traditional Chinese beadwork, porcelain and sarong kebaya dresses are on display at the Peranakan Museum. Singapore nightlife takes in everything from sleek rooftop bars to chic beachside hangouts and stylish nightclubs. For an evening of feasting and late-night revelry head to Clarke Quay orClubStreet. The vibe is quieter at Robertson Quay, or at Dempsey Hill, where a relaxed evening can be enjoyed. Blu Jaz Cafe: Jazz lovers flock to this funky bar for its live music, as well as R&B, hip-hop and Latin dance parties. Timbre: There are three Timbre venues in Singapore, with regular performances by local and international bands. Catch a free concert from the Singapore Symphony Orchestra, held at venues such as the Botanic Gardens. Lovers of the outdoors can find plenty to please in Singapore’s parks. You can rent a bike and follow the island-wide park connector network. You’ll enjoy coastal views, tropical greenery and cooling breezes on a ride from East Coast Park to the popular Changi Village Food Centre, which dishes up some of the best nasi lemak (coconut rice) on the island. Nature lovers can take a treetop walk on the suspension bridge at MacRitchie Reservoir, a leisurely stroll around the hilltop at Fort Canning Park or enjoy panoramic views of the city from the Southern Ridges. For families, the landscaped roof of the Marina Barrage, looking out over the city and Marina Bay, is a popular spot for picnics and kite flying. Ride the Singapore Cable Car over to Sentosa resort for beach watersports, golf, theme parks and views of the harbour from the Imbiah lookout. Thrill seekers can try indoor skydiving at iFly Singapore on Sentosa or hurtle through the air in a reverse bungy or GX-5 extreme swing at Clarke Quay. Get closer to nature in the Bedok Reservoir and tackle the family friendly treetop ziplines at the Forest Adventure. To eat as the Singaporeans do, head to a local cafe for a breakfast of kaya toast and soft boiled eggs. For a Sunday treat, try one of Singapore’s famous Champagne brunches at Garibaldi or Catalunya. Tong Ah Eating House: This cafe serves up slices of crispy kaya toast and cups of smooth, fragrant kopi (traditional coffee). Chinatown Food Street: Great for street-side dining on local delicacies like hokkien mee and roti prata. Kok Sen Restaurant: This old-school dining establishment turns out some of the tastiest Cantonese wok-fried dishes on the island. Din Tai Fung: This Taiwanese dumpling house has taken Singapore by storm with branches throughout the island. Most travelers have a bucket list. I have been lucky enough to have checked quite a few off my personal list, but one place I have not yet reached is Jakarta. The 13,000 islands of Indonesia are astonishing, and having spent a month in serene Bali, my dreams now turn to city life. Enter Jakarta, the massive capital on Java, the mixes cultural influences from around the world. Written in cooperation with Goodshop. New travelers are often at a loss when choosing a vacation destination. For experienced travelers, the choice is not so much about where to go, but where not to go, for an embarrassment of choices for world travel exists. Searching for the best travel deals or coupons from Priceline is a given, but researching a location can be a more formidable task. While the normal, and proven, questions to ask yourself will point you in the right direction, below is a rundown of a few of the must-see regions around the world, but with a slightly different viewpoint. High on many travelers’ lists, Mexico is a destination that arises again and again. Part of the appeal is simply the proximity and short flight times from the United States. However, many only look to this vibrant country as a beach destination. While beaches on both coasts are stunning and offer different experiences from one another, part of the great appeal of this diverse country is in its hills. From the Copper Canyon, one of the largest canyons in the world, to the colonial hill towns such as Patzcuaro and San Miguel de Allende, much of the magnetism of this amazing country is found far from the sands of the coastline. Nearly every traveler is aware of the charms of Southeast Asia — the chaotic charm of the large cities, the fantastic food, the inexpensive massages, and the verdant and rich countryside. As the gateway to the region, Bangkok is nearly impossible to avoid, but move beyond this fabled city to discover an impressive diversity. Vietnam offers French colonial architecture, amazing food, and immense beauty. Cambodia’s recently troubled past is merging into a young, progressive country full of hope, as well as the home of the extraordinary ruins of Angkor Wat. Laos, long considered the ugly stepchild of the area, has emerged as a front-runner on the lists among those in the know. 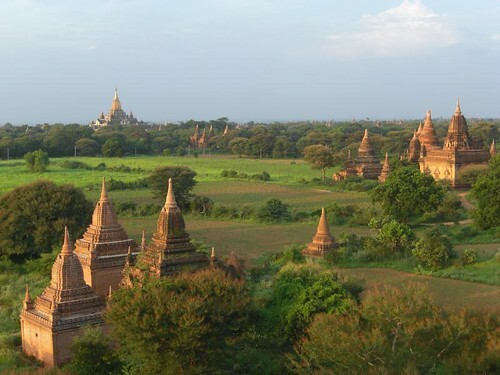 Myanmar, recently reopened to tourism, offers the astonishing ruins of Bagan, as well as a feeling of stepping back in time. Granted, nearly everything has been “discovered” in Europe. If finding great flight deals so that you can jet to the continent sits high on your bucket list, never fear; you can still find ways to avoid the crowds. Most travelers simply do not have the time to get off the beaten path and explore. Thus, they follow the guidebook crowd from one photo op to the next. Fully escaping the tourist crowds may be a challenge, but to get a more personal experience, you need only walk a few blocks away. When St. Mark’s Square is literally sinking in the crowds, meander a few blocks off the square and discover a Venice with no crowds. If you can no longer bear the crush of humanity in the Louvre, see what you must see and escape to the more civilized crowds of Sainte-Chapelle or the Musée Rodin. Wherever your holiday may take you, using a few simple techniques can create a magical experience. Instead of having a holiday like everyone else has, venture a few steps off the beaten path to find the true local charms. Written in cooperation with Hotel Planner. For many, when they hear the mention of Charlotte, North Carolina, the first thing that comes to mind is NASCAR. Long the hub of the racing industry, Charlotte boasts the amazing NASCAR Hall of Fame museum along with Charlotte Motor Speedway. However, this landlocked city has much more to offer than merely car racing. From family fun to civil war history and bountiful gardens, Charlotte has so much to offer. And with a huge selection of lodging choices at your fingertips, booking a vacation has never been easier. What can be more fun than a day spent at an amusement park that also doubles as a water park? 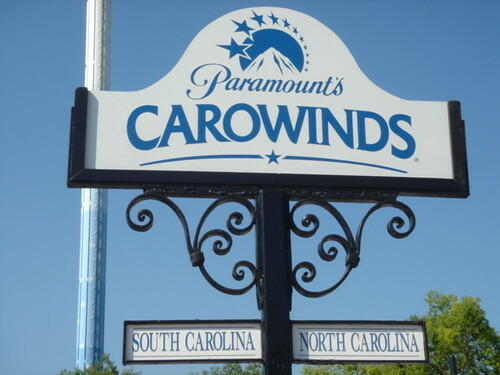 Carolina Harbor Waterpark is part of the 398-acre Carowinds amusement park, hugging the border of North and South Carolina. Enjoy fun for the entire family as you ride the rides, wander the grounds, and then cool off in a variety of different water park features that range from kiddie wading pools to tidal waves for the big kid in all of us. Civil War history ranks high among things of interest for travelers to the south. This tumultuous period in our country’s history continues to intrigue. Charlotte offers up one very unique addition to the mix in the Levine Museum. This colorful, interactive museum focuses on the history of the south post-Civil War, both in general and specific to Charlotte and the Carolina Piedmont region. Set on the banks of Lake Wylie, the 380-acre Daniel Stowe Botanical Gardens are a delight. The spectacular gardens feature multiple fountains and a glass conservatory. With miles of trails to wander, you can take your time to look at each unique section of the property, such as the Four Seasons, the Cottage, or the Scroll garden. 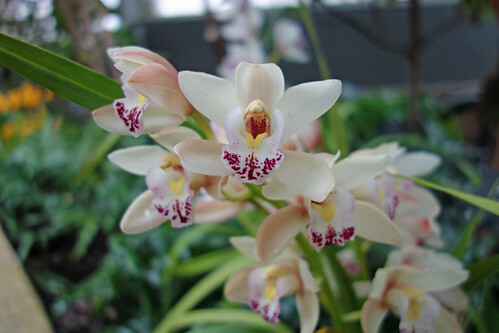 A grand finale might be the 8000 square foot orchid conservatory, which is the only glass house in North Carolina. When you’re done with the great outdoors and exploring the past, head to the Bechtler Museum of Modern Art. This delightful museum, only the second in the country designed by Swiss architect Mario Botta, is housed in a building as impressive as the artwork that it contains. The collection includes works by all the important artists of the mid-20th century, including Miro, Picasso, and Warhol. It is a breathtaking example of the power of art. Young and old alike will be thrilled to check out the Discovery Place Museum and IMAX. This science and technology museum offers up an interactive, hands-on approach to learning. With several locations and over 70 years of encouraging learning, Discovery Place is a fantastic option for the whole family. Overall, the Charlotte area offers up everything you look for in a vacation: hotel options, great food, southern hospitality, and sightseeing that includes everything listed here and more. Outdoor activities abound, including hiking and white water rafting. Plus, in the end, you can always check out the NASCAR scene! Written in cooperation with MedjetAssist. Travel can be hard. It can be stressful and exhausting. You can’t do anything about long travel days, endless lines at security, or the challenges that come with arriving in a new city or a new country, where you’re unsure of your footing. Where you can make your life easier is by resting securely in the knowledge that when you become a member of MedjetAssist, you’ll have protection in case a situation arises. No matter where you are, things can happen. People fall, accidents happen, political situations implode, or the unexpected occurs. A bit of added protection makes all the difference when any of these things arise. Prior to departure, gain confidence in your journey with MedjetAssist’s pre-trip planning tool. In addition to the normal channels, MedjetAssist offers access to essential information for over 260 countries and cities. You can easily prepare your very own guide for your holiday with country information, visa requirements, local laws and customs, and even health advisories. Head off on your journey a step ahead in terms of on-the-ground knowledge. As a member of MedjetAssist, you can rest assured that in time of crisis, you will have around-the-clock service. The company’s services extend beyond medical transportation and include 24/7 support to assist with questions ranging from wrongful detention to political issues. MedjetAssist’s fully trained staff can give you peace of mind that no matter what’s happening, you have someone on your side. The world is a fascinating and diverse place that’s meant for exploration. After you’ve completed the planning and started the adventure, you don’t want to worry about the unthinkable occurring. Industry insiders fully support additional layers of protection via membership services such as MedjetAssist. Do your research, and then make sure to contact a travel professional to get an informed take on the valuable addition MedjetAssist would be to your travel insurance needs. When the unexpected happens, the last thing you want to think about is whether or not the hospital requires up-front payment or how you will get home safely. With a MedjetAssist membership, these worries dissolve. Membership gives you the security in knowing that your initial medical costs are covered and guarantees safe and comfortable transport back to your home facility. The world of travel is a bit of a dream. The ability to step off a plane or boat and onto foreign soil to find an entirely different type of life is a breathtaking experience. Everyone hopes for the best, but it’s never a bad idea to prepare for unplanned events. By getting a MedjetAssist membership and your regular travel insurance, you can roam the world worry-free, knowing that you have coverage for any range of situations. 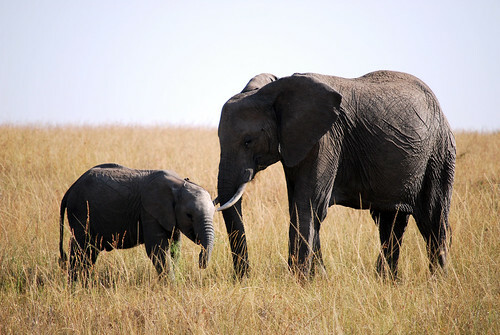 Travel with your mind at ease, knowing that you are protected as you float the Ganges, share a life-changing experience on safari in Africa, or visit the Great Wall of China. What drives us, we nomadic types? What causes us to leave stable jobs, lovely homes, friends and family, to throw ourselves out into the world? To force discomfort upon ourselves by the mere act of having no home base, no tribe to reach to for comfort? To live a life outside our comfort zone, both mentally and literally? Written in cooperation with InterContinental Hotels Group. The British are known for their dry sense of humor, their room-temperature beer, Shakespeare, and their conquering of many a foreign land. They are not, however, revered for their national cuisine. Intriguingly named dishes consist of a variety of items we Americans may find off-putting, but a trip to London wouldn’t be complete without trying one or two of these favored dishes. 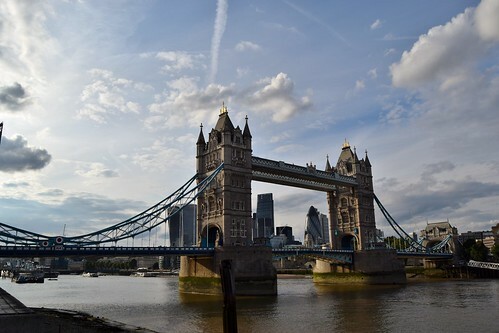 A trip to London requires certain elements: a conveniently located IHG hotel, theater tickets, a tour on a double-decker bus, and a trip past one or two of the many royal palaces. Dining options abound, offering up nearly every ethnic cuisine and high-end restaurant you can imagine, but a visit to London should certainly include some very traditional British food. Not a dessert but a savory treat, black pudding is blood sausage combined with oatmeal, salt, and some fat. While the description may not entice you to try the dish, it’s actually quite delicious as a light lunch with some chips or a salad. I’ve found that the terms used by the British cause frequent, and often hysterical, misinterpretations. A perfect example is faggots, a must-have comfort food. They’re meatballs made with liver, lungs, heart, and pork belly, served with potato mash and that quintessentially British food, mushy peas. While I can do without mushy peas of any sort, the faggots are quite a delicious change from a typical meatball. I love a good sandwich loaded with vegetables, meat, and cheese. A chip butty was a revelation. This sandwich is made with chips, accented with vinegar and ketchup, and served between two slices of white bread. Mushy, salty, and absolutely not a healthy choice, this sandwich is utterly delicious after a night on the town. 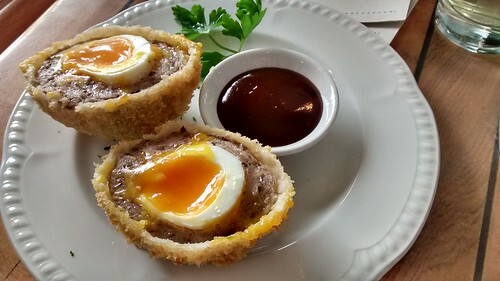 Originally invented as an easily transportable meal for workers, the Scotch egg sounds a bit strange, but it offers all the components of breakfast. It’s a boiled egg wrapped in sausage, rolled in bread crumbs, and fried. Scotch eggs are unusual, but they’re also tasty and mobile. Stargazy pie was almost my undoing. While I like fish and pot pies, I’m not a fan of fish looking at me from the middle of my pot pie. This classic Cornish dish features an egg and potato pie in a lovely pastry, but it also includes fish, seemingly jumping out of the pastry. While it’s delicious, I give this dish a thumbs down for presentation. While I’ll never grow to appreciate Marmite or feel delight over the idea of jellied eels or any number of other British favorites, travel is as much about the food as it is about the people and the sites. Step outside of your comfort zone and try one of these dishes during your next trip to London. You may find a new favorite. If not, you’ll never be far away from a kebab shop.